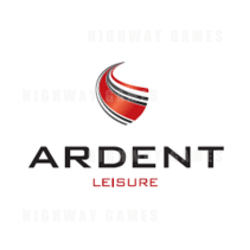 Australian business, Ardent Leisure has reported an annual loss of $90.7m for the period of July 1 2017 to June 30 2018. This loss comes after the company sold two of their major businesses; Bowling and Entertainment (sold for $160m) and Marinas ($126m). Ardent Leisure is most commonly known for its ownership of Dream World and WhiteWater World on the Gold Coast in Queensland. Its loss comes after the death of four visitors on a ride in Dream World in 2016, resulting in a decrease in park revenue by 1.4%. Main Event Entertainment Centers, operating in the USA saw a 23.5% revenue growth. This business includes arcade gaming, laser tag and mini golf and operates in 42 different locations. Ardent reported their overall net debt for the financial year as $11.3m. This was said to be due to increasing growth for Main Event, improving attractions at Dream World and selling off the Marinas, Bowling and Entertainment businesses. To see the full results presentation, click here.